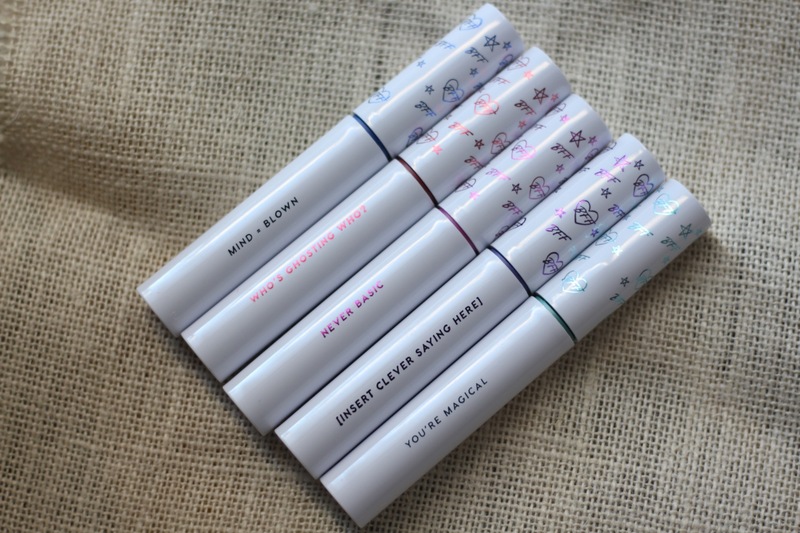 NEW Colourpop BFF Mascara – Are these the best colored mascaras? Coloured mascaras! I am so excited! 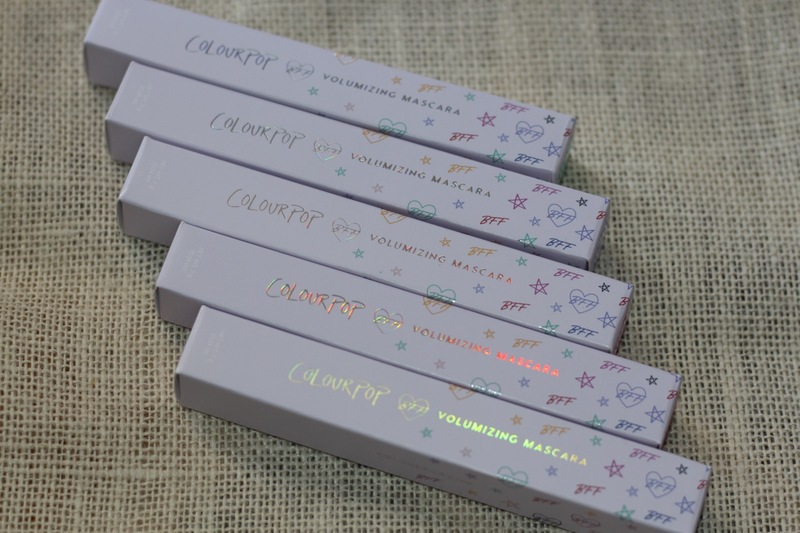 Colourpop Cosmetics recently came out with 7 new coloured mascaras – 1 black and 6 colours. 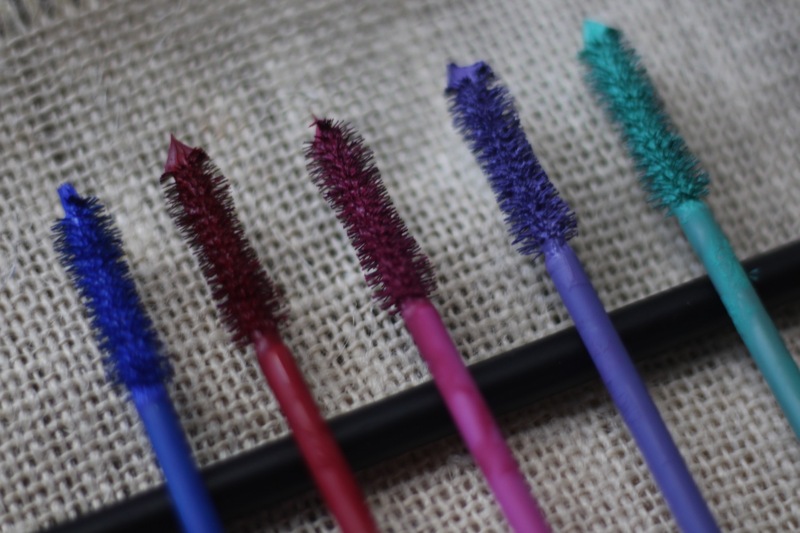 These are the Colourpop BFF Mascaras. Coloured mascaras are not that prevalent on the market in the US and for the most part, companies bring out black (and variations of black), brown, navy and maybe a burgundy. Oftentimes, brands will bring out a limited edition coloured mascara collection for summer, and this is a permanent line, so that makes me very happy. If you are interested in looking at my video review instead, click here…otherwise check out the review below. There are 7 shades. I bought 5. I did not get the black shade nor the yellow shade. They are available on the Colourpop website and they retail for $8 each for 7 oz. You can buy the entire set at a discount or there are lots of discount codes floating around on the internet (unfortunately I don’t have one). Colourpop claims that this product volumizes, lengthens and lifts lashes, using a unique nylon brush and does not flake. The formula is also buildable. 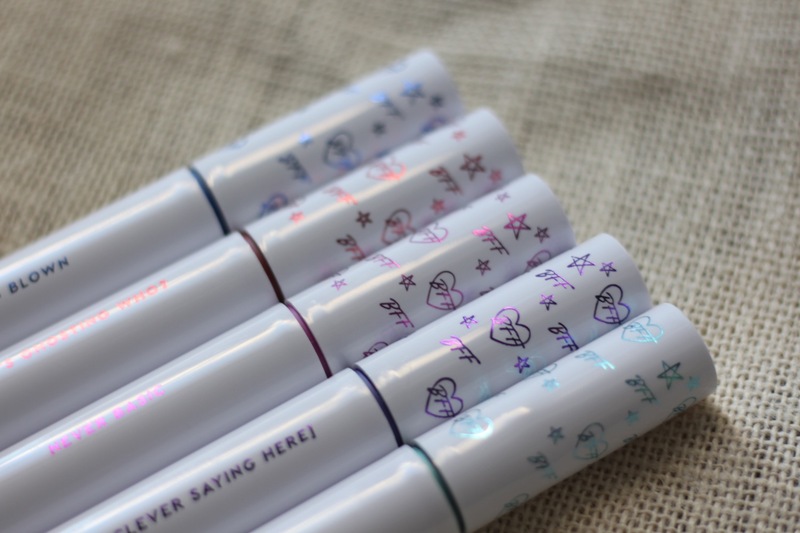 BFF Mascara comes in a pale lavender box with multicoloured foil and iridescent text, mimicking the colours of the mascaras. The tube is made of white plastic with metallic foil matching the colour of the mascara. The BFF Mascara has a large bristle brush with shorter bristles in the middle of the brush. The formula has a slight sheen to it and was not too thick.